The luthier Lineu Bravo was really touched by seeing two clients playing together on a video that has recently been published on Facebook. 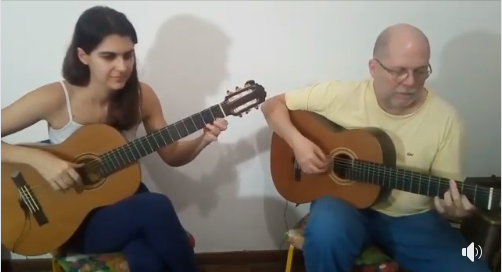 The musicians Paula Borghi, who has a 6-string guitar made by the luthier, and Maurício Carrilho, who played in the video a 7-string Lineu Bravo guitar with Canadian cedar top, made in 2006. 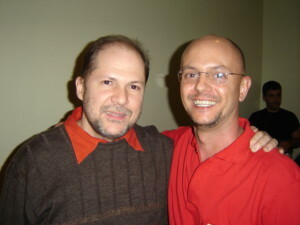 The song was named “Desnorteada”, composed by Mauricio. 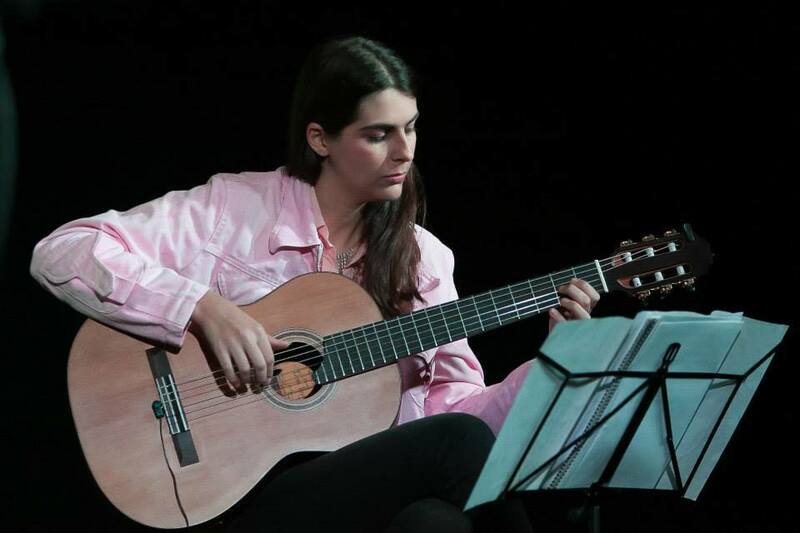 Paula was born in Santo Andre, in São Paulo, and when she was 9 years old she started studying music at Tatuí Conservatorium. She also has a degree in music and has achieved the first place in many important guitar contests. In 2013, she released an álbum named “Café da Dona Chica” with the group água de Vintém. Also in 2013, she released an álbum in partnership with Mauricio Carrilho. She plays in partnership with important Brazilian musicians such as Maurício Carrilho, Cristóvão Bastos, Alessandro Penezzi, Nailor Proveta, Pedro Amorim, Toninho Carrasqueira, Aquiles Morais, Ronaldo do Bandolim, Antônio Rocha, Luciana Rabelo, Toninho Ferragutti, Paulo Sérgio Santos. Nowadays she teaches music lessons. Mauricio Carrilho, who was born in Rio de Janeiro, is a musician, producer, and a popular Brazilian song researcher. He is also a Lineu Bravo’s client. He started his career in 1977, taking part of many musical groups such as “Carioquinhas” and “O Trio”. In the late 90’s, Mauricio established a record label with Luciana Rabello, the “Acarei Records”, where he has been doing a great research about Choro. The musician also develops a great work on education, travelling around Brazil, attending workshops based on Choro (the first popular Brazilian music genre). Mauricio got a Lineu Bravo guitar in 2006, a 7-string guitar with Canadian cedro top.At the time, he gave his instrument to an Australian friend, the musician Doug De Vries, who played the guitar and felt in love with it, but he could not wait his own to be ready. Mauricio says he did it because he was sure he would receive an instrument as good as the one he had. So, Lineu Bravo made a second guitar for him, just like the another one.